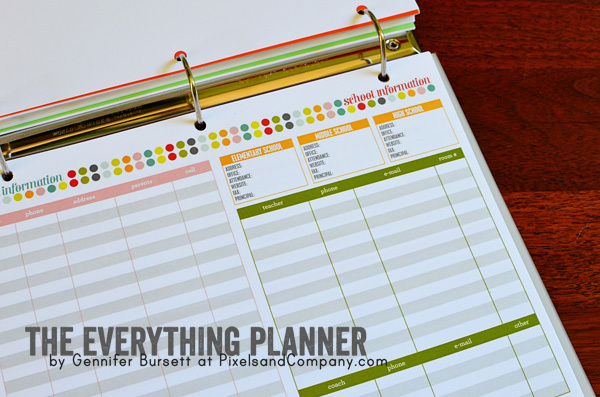 It’s Laura O’Donnell on the blog today sharing my planner put together with Gennifer’s The Everything Planner digital kit. If you remember Gen’s post from last year she had the whole thing spiral bound. I put mine together in a 3 ring binder so I thought I’d share some pictures as another option. Here is the kit, updated for end of 2013 through January 2015. And, it’s on sale through the end of the year! It is marked down from $13 to $6.50. 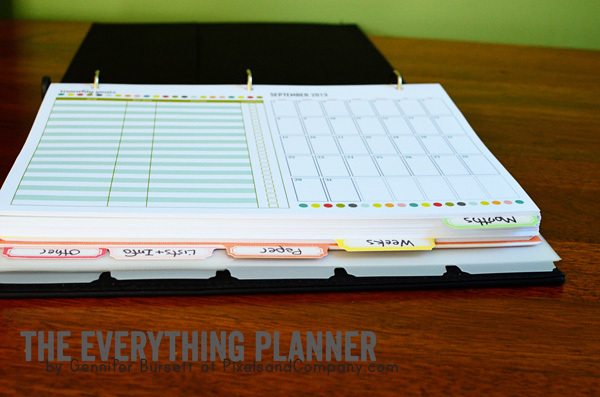 You will be so organized in 2014! I sent all of the PDFs to Staples for printing and they came out great. The binder, tabs, and pockets are all from the Martha Stewart/Avery collection sold at Staples. I am not affiliated with these vendors, just a happy customer. I put the monthly sheets in first. It’s nice to see the whole month along with a space for goals. 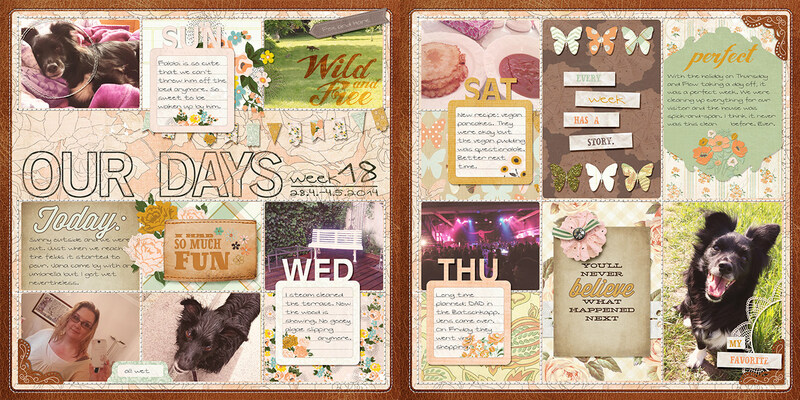 Then the weekly sheets. These have worked out great, both for planning and for keeping track of things we did on these days. I’m doing Project Life scrapbooking and find that just a few extra notes on these pages at the end of the week makes Project Life so much easier if I’ve fallen behind. Then I thought a notebook section would be helpful with some plain lined paper, tabs, and stickers. This is where I put all of the Organize Me printables. These are included in the full kit or you can get them separately. Did I mention this is a photo heavy post? 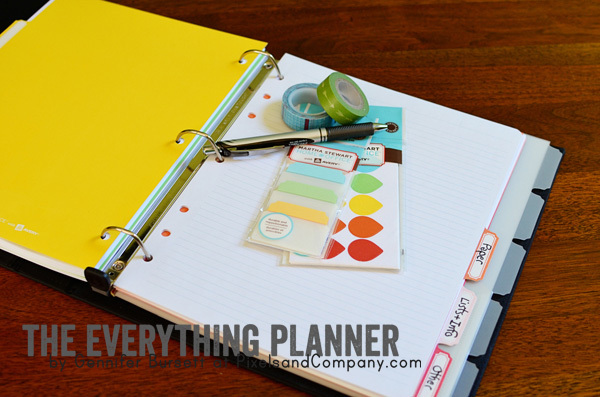 This planner kit is packed with great stuff! This is the sheet for important contacts – neighbors, babysitters, doctors office, etc. 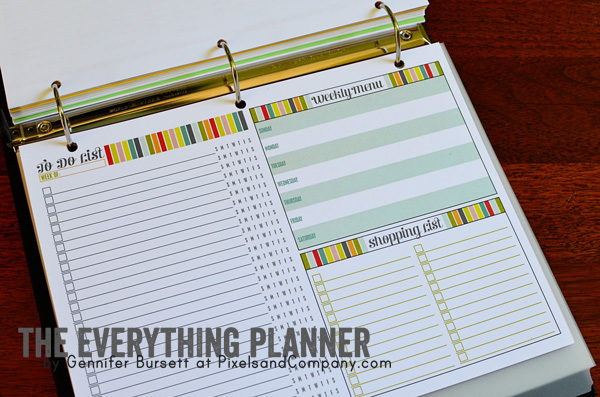 Weekly menus, shopping, and to do lists. Gift Giving Record. Such a good idea! When you spot a perfect gift add it to the list, then when birthdays or Christmas comes around you know just what to get. Special Dates. I love to make cards but I’m not always so good about remembering to send them. I needed this! And then some tabbed pockets at the end to store whatever important papers might come my way. Did you notice I didn’t print the Chore Charts? We’re not nearly that organized around here to assign chores, but if you are I think you’ll love them. Here is one more look at the kits. 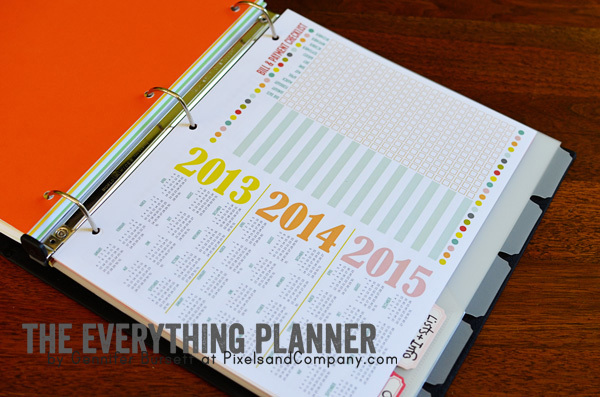 The Everything Planner Kit regularly priced at $13, on sale now for $6.50 through the end of 2013! And that’s everything! I took the pictures as soon as I made my binder, before I started writing in it. I’m finding it nice to be able to take the weekly sheets out when I’m working on Project Life, and having all of our important contacts and things in one place is really useful. 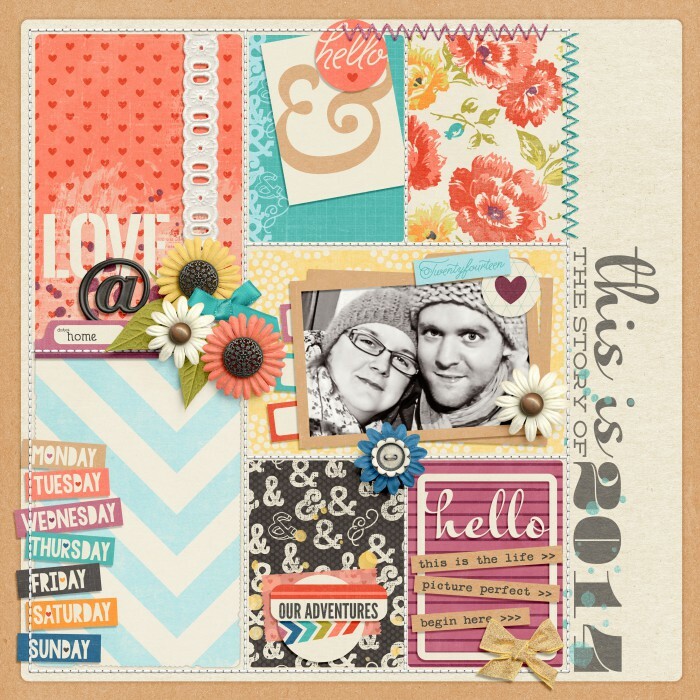 I hope this inspires you for planning in 2014! I know, probably the last thing anyone ever expected to hear, and the last thing I ever expected to write, but it is true. Today is the last day you can buy my products at Design House Digital, and the last day I’ll be hanging out there. It’s been over three years from conception until now, and I’ve been involved almost every step of the way. 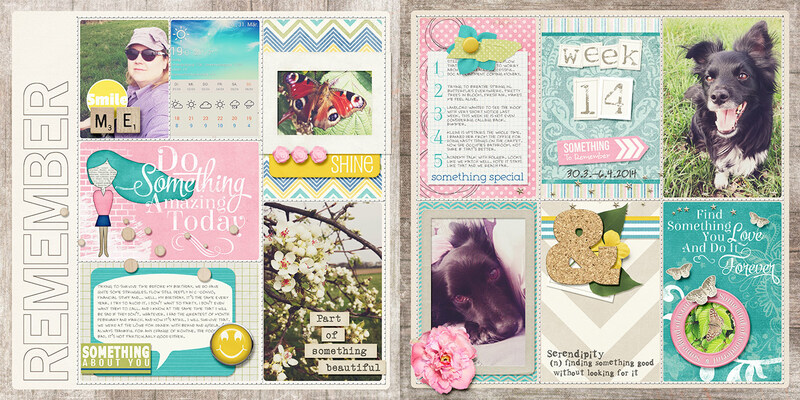 I’ve uploaded 113 layouts (that’s a bit sad, honestly! ), written 266 blog posts, posted in the forums over 3700 times, answered hundreds of emails, and made countless new friends. Thanks to everyone for letting me be a part of your lives! As a special thank you to my blog readers, in addition to the 50% discount on my products, score an additional 15% off using this coupon code: freakycool. Earlier this month, I signed up for an online class on building a better business. I figured that it’s the responsible thing to do, now that I’m (not only) a significant portion of our household income, but also bearing some responsibility for the income of the other designers at DHD. Unfortunately, I haven’t had as much time to devote to it as I would like, since I’ve been transitioning to my new laptop, which HP replaced after damaging my previous one in transit on three different occasions. (THREE! It was like a bad joke!) Luckily, I can access the class information down the road, so while I’m trying to get the overall lessons, I’m definitely planning on getting the “meat” of the information down the road. But, it’s gotten me thinking. When I transitioned from blogger to WP a few months ago, I specifically cleaned things up. I eliminated the sidebars, to give my blog a light, airy feel. But, really, to be an effective marketing tool, the blog needs to have those things. Right? I’m not entirely sure that’s where I want my focus to be, though. I blog at least once a week at the DHD blog, for business. I post on the DHD FB page, on my business FB page, and on my personal FB page. I post in a few forums where I’m active, and read a few where I’m not. I’m out there. So, if you’re a friend who still reads this, you’ll have to put up with a bit of my digi stuff, because that’s a part of me. 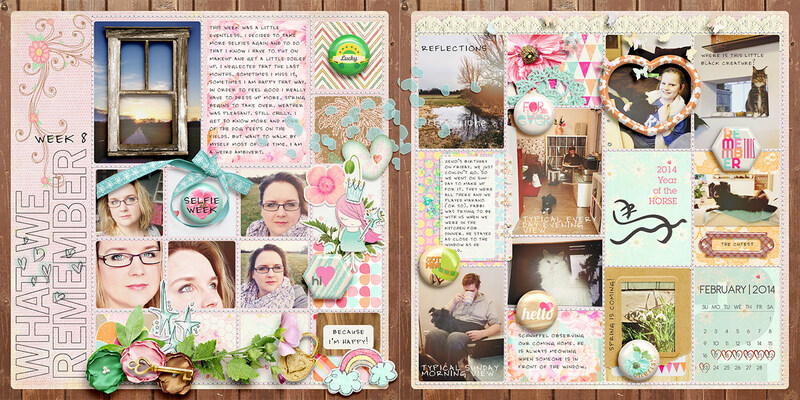 If you’re a scrapbooker, you’ll have to put up with a bit of my everyday stuff, because that’s a part of me. These days, I kind of miss me. It’s that time again… The Most Wonderful Time of the Year. No, I’m not talking about Christmas, silly. School starts on Monday, and I can hardly wait. Don’t get my wrong. I love my kids. I LOVE my kids. But, with four of them running around my small house, plus an oversized fifth one (AKA my husband), plus a large St. Bernard, well… Let’s just say that the sum of these can be greater than the parts. Add in the fact that I am a small business (co)owner and work from home juggling the business, design time, working occasionally at my family’s business, and also selling custom family trees. It’s enough to give anyone a headache! In all seriousness, back to school means that I am able to get back on a schedule. And, as much as I hate to admit it, I’ve become my mother. I work best on a routine schedule, with lists and check marks and accountability, and my productivity and creativity go way up when I’m organized. First of all, I’ve included three different cover design options (front and back), and each comes in both a vertical (for binder use) or horizontal (for binding) orientation. 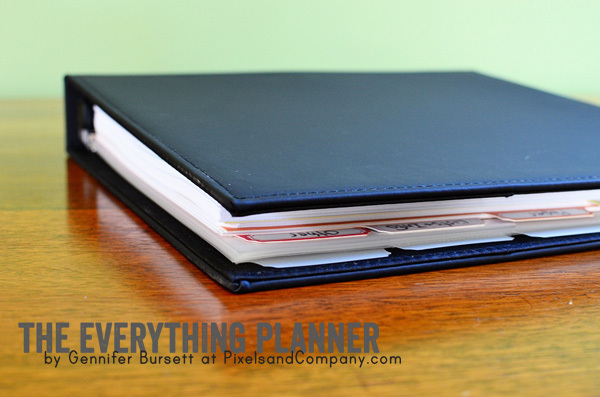 There’s also a 2″ spine for binders, which can be trimmed down with scissors for a smaller binder. Last year I used a binder, but this year I decided to have it bound, instead. I had the covers laminated, which makes it very durable, even though I don’t really carry it around ( it pretty much just stays on my desk). The binder is just a bit bulky for me, but it does give you the option of moving your pages around as the year progresses. I’ve locked in the order of my pages based on what I found last year, so it’s not an issue for me. (Obviously, mine is filled out, but I’m not showing pictures of a few of these for privacy purposes.) In the other section I have a few random phone numbers: my and my husband’s cell phone numbers, my esthetician, my husband’s car pool partner, etc. When we have a babysitter, I open the planner to this page because it has everything in one place. I have all of these at the beginning, instead of mixed in with the week-at-a-glance pages like I did last year. It’s easier for me to find them than having to flip through the entire binder. This page has just my basic notes. The left side has projects I have going on during the month (and when they need to be completed) and on the right I jot upcoming events. Following a Pinterest tip, I will use washi tape to highlight events that span more than one day, so I can see those at a glance. 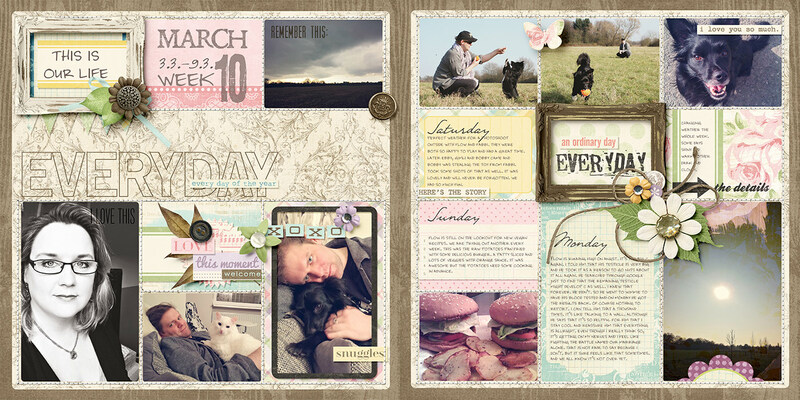 I’ve got a scrapbook expo coming up and a site sponsorship, so those are both marked off. 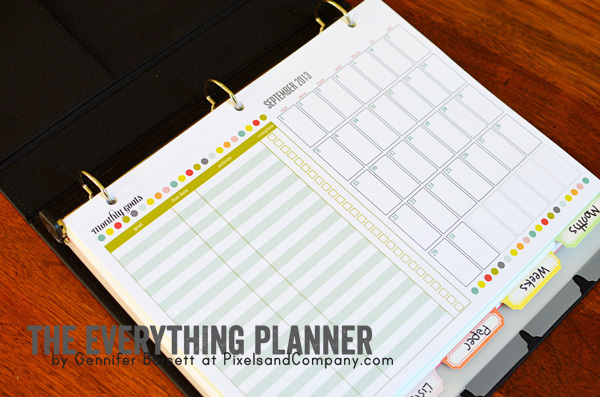 I will also use this to keep track of my husband’s business trips, as well as any travel plans for my family. These is where I write down the specifics of each day. In the boxes, I write down specific events: appointments, their times, and who they apply to. In the left-hand column I write projects and goals for the week in general, and underneath each day I add ones that apply to that day. For example, I have notes on the days that I need to remember to send out newsletters, or want to blog, etc. I don’t have to access this page nearly as often, so it’s back here. I’ve got it filled out as you’d expect, with a few extra lines of information since my youngest daughter is starting a dual-immersion program this year, and therefore has two teachers. This is especially handy if I am looking at something long term, and I can quickly see what days/dates things might fall on. In addition, since my husband and I both pay our bills (and not necessarily together), we can see at a glance when they are due, and if they have been paid already. A perpetual calendar to keep track of birthdays, anniversaries, etc. 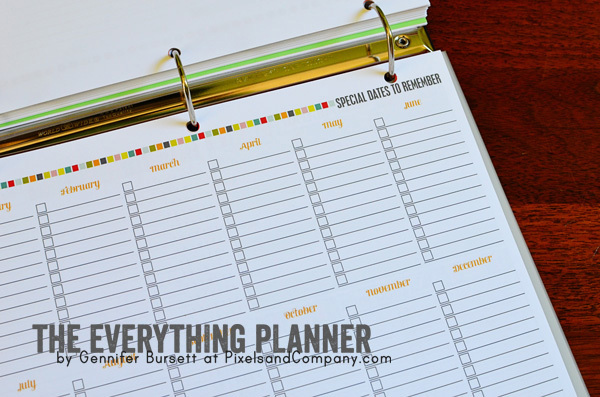 A party planner, which comes in very handy not just for birthday parties for my kids, but even when hosting informal family get-togethers with my family (7 siblings!) or my husband’s family (5 siblings!) to keep track of food assignments, etc. I printed multiples, because I like to keep them, but you could just print one, laminate it, and then use a dry-erase marker. These come in SO handy when doing birthday and holiday shopping! All year long, I make notes if I come across something that I think would make a good gift for someone. I can also keep track of websites/stores, sizes, and whether I’ve bought, wrapped, and shipped/delivered. Things are especially crazy for me right around Christmas, because my two youngests’ birthdays are Dec 29th and Jan 7th, so we’re usually shopping for all three events at the same time. It’s a lifesaver! Again, I printed multiple: I use one for each of my children (birthday and Christmas), one for my husband (anniversary, birthday, and Christmas), two for Christmas (everyone else), and two for birthdays (everyone else). 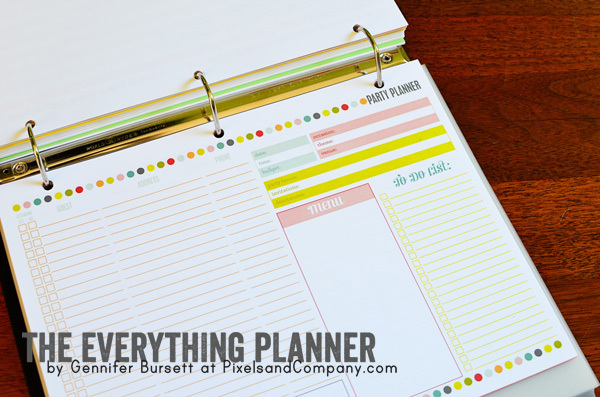 So, that’s my version of The Everything Planner. But, WAIT! Did you notice a few things missing? 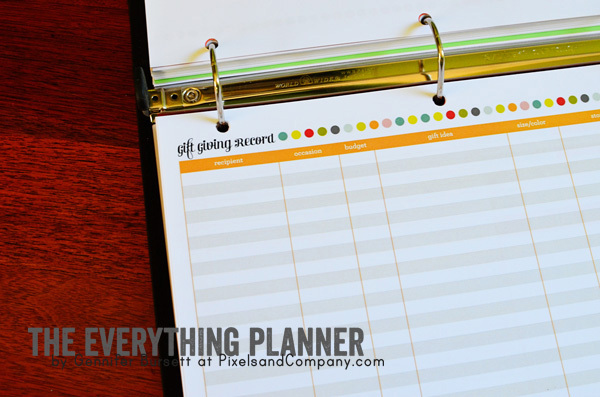 That’s right, the chore charts (the catalyst for the entire planner!) and the menu planner! So, where are they? This way, I can plan out my menu for two weeks at a time, and my husband and oldest daughter (who share meal prep with me) can see exactly what I have planned, make additions to the grocery list, etc. The left-hand side has projects/chores that apply to my entire family, as well as the day I would like them to be done. The top one also comes in an editable pdf file, but I left them blank this year so that the chores could be changed as our needs change. I’m not sure yet if that will be better than having them printed on there, and I may go back. 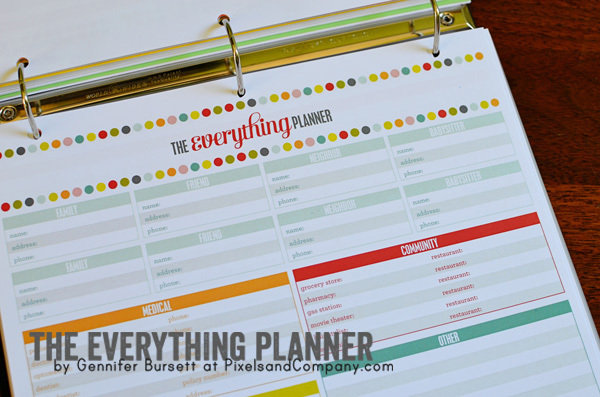 That’s the beauty of the planner: you can pick and choose which you want to use, and how you want to use them. It’s super flexible, and can be tailored to your needs so easily. 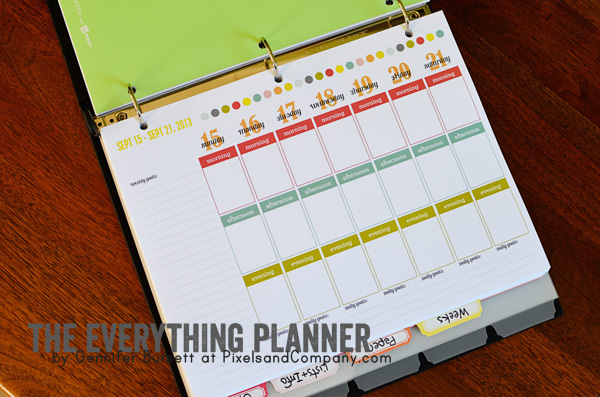 It’s available as a complete planner, or broken down into individual components. So, that’s it. That’s my secret. I do have also keep a composition book (for jotting down design ideas) and a binder (with all of my business information) on my desk as well, but this is my jumping off point. It’s what keeps the rest of me going. Well, that and Mtn Dew.